Running a business is a difficult task and it can feel lonesome and isolating at times. In order for an organization to grow, professional development is important. Although it often pays to be independent, there are numerous advantages to working in tandem with other top executives and thought leaders. These prominent figures can end up having a positive impact on a business. Networking is the most powerful marketing strategy to build and maintain success for any organization. Networking means making mutually beneficial connections that can serve as a launching pad for each member’s particular mission. Relationships are a proven catalyst that can help other people succeed and serve as a valuable resource. In a world constantly with sales pitches, status updates, tweets, emails and advertisements, messages can easily get lost. Professional relationships enable an organization to cut through the clutter and remain foremost in the minds of industry leaders. Networking is critical to the success of any business entrepreneur. By meeting new people with similar ambitions and interests, an organization can succeed, an entrepreneur can uncover new opportunities for growth and renewal. Networking does not have to be reserved for a professional event. Having similar hobbies or interests can be an enjoyable way to meet potential friends and business partners. At first, it’s advisable to perform some general research and see what organizations share the same core values and beliefs. Joining the local Chamber of Commerce is a prime activity for many businesses. It brings visibility and credibility to a business while more contacts. The various attributes involved with becoming a member include publicity and promotion, chamber events, community presence and a voice in government. Exchanges with like-minded individuals can lead the way towards more innovative ideas while providing moral support for both parties. With more businesses expanding globally, online forums and social networks have made it much easier for professionals to stay in touch with business contacts in their local community and beyond. Richard E. Dover is a real estate developer based in Knoxville, Tenn. A Tennessee native, Richard E. Dover has previously worked as a project manager for General Homes of Houston, Texas, as well as for its parent company CBRE. Richard E. Dover was also a self-employed real estate developer until taking the helm of Family Pride Corporation in 1993, a company primarily involved in developing high-quality assisted living facilities. Presentation Solutions: Mr. Dover, please tell us about your renovation of the historic Alexander Inn. Richard E. Dover: We are preserving this Oak Ridge historic property by renovating it and converting it into an assisted living facility. Presentation Solutions: How is it historic? Richard E. Dover: It was built in 1942, known then as the Guest House, when the Manhattan Project was starting in Oak Ridge. It housed some of the top scientists working on the atomic bomb such as Robert Oppenheimer and Enrico Fermi. Presentation Solutions: How long will the renovation take? Richard E. Dover: It’s a nine-month process. If you walk along the outside façade of the building today, you can see that there are lots of things that need work. Richard E. Dover: All the windows have to be updated. But since we are committed to a historic renovation, the wood will need to look the same as it originally did. Presentation Solutions: Your company is called Family Pride Corporation, correct? Richard E. Dover: That’s right. We’ve done this before and we know we’ve got our work cut out for us. But people have waited a long time for this and we’re ready. Presentation Solutions: Where are you in the process? Richard E. Dover: We’ve just finished demolition, removing anything that’s hazardous to our crews. Despite the dilapidated appearance, the building could be a lot worse. Richard E. Dover: The general structure is in great shape and the areas that are bad, we’ll just start from the ground up and build anew. Presentation Solutions: Will it be restored to look just like it did in the 1940s? Richard E. Dover: Yes. As a protected historic site, the inn will be preserved to its original form. We think it’s great any time you can save a historical building like the Alexander Inn that has such a history in Oak Ridge. Presentation Solutions: We’ve learned that the public has had a chance to own some of this history. Richard E. Dover: That’s right. During demolition, we found all kinds of furnishings that were just going to be thrown away, so we wanted to give people a chance to have some things from the building. Presentation Solutions: What about the historical pieces? Richard E. Dover: All furniture and architectural pieces of real historic value have been removed and placed in several local museums, but there were still many other items for sale. Presentation Solutions: What kinds of items? Richard E. Dover: Mirrors, dressers, bed frames, old upholstered armchairs, and more. Volunteers removed all the remaining furniture and items from the dozens of rooms and held an estate sale. Presentation Solutions: Were the items expensive? Richard E. Dover: The items were mostly from the ’60s and ’70s and priced below $50. Presentation Solutions: Who benefited from the sale? Richard E. Dover: The funds benefited the East Tennessee Preservation Alliance. Presentation Solutions: That sounds like a really great opportunity! Richard E. Dover: There was some really neat stuff just sitting there and in great shape; it just took knocking the dust off it. Presentation Solutions: Thanks for talking with us. Richard E. Dover: My pleasure. Aldo Todini, an Italian businessman and consultant, answers questions about the corporate finance and why the European financial crisis means businesses must look away from banks to fund operations. Q. Why do companies seek external funding? Aldo Todini: As a means to inject money into their product lines. This may be to research new revenue streams or to fill a deficit caused by recession across the continent. Q. What funding options are available? Aldo Todini: The most common is borrowing from banks but bonds are another solid way to finance. Q. What benefits do selling corporate bonds have over taking out a loan? Aldo Todini: The main benefit is they do not restrict the company from trying new things to create revenue. Q. How are bank loans restrictive? Aldo Todini: Banks have a set risk level they are willing to take. They may not allow for the funding of new product lines, which is a major risk but also has the most potential reward for a company or its investors. Q. What exactly is a bond? Aldo Todini: A bond is essentially a piece of debt that a company owes. The debt is repaid by investors, which frees the company up to use liquid funds for other purposes. Q. How much do bonds cost? Aldo Todini: Bonds are typically sold in units of $1,000 – this can vary, however, from company to company. Bonds are held for a set time period then repaid with interest. Q. Do bonds carry risk? Aldo Todini: Each bond opportunity will afford certain benefits and risks. Bonds are graded according to the seller’s anticipated ability to repay the borrowed money. Q. If a company selling bonds goes out of business, how to investors recoup their losses. Aldo Todini: If the company liquidates its assets, which is common among failing businesses, the monies raised will be recovered for investors. Bond holders take priority over stockholders. Q. Why should a business employ a third party consultant prior to selling bonds? Aldo Todini: A consultant, specifically one familiar with business process reengineering, can first identity area of waste and help plan for more efficient manufacturing. This offers the potential bond investors more piece of mind, thus encouraging more sales and ultimately more funds. A native of Turkey, Aldo Todini moved to Italy early in his life and has been active in the country’s business and commerce for over 20 years. As a 1997 graduate of the University of Rome, Aldo Todini has both the education and experience to guide companies to success. Aldo Todini has worked with the Italian Parliament and countless corporations in the areas of technology and business reprocess reengineering. He is an independent consultant with expertise in industrial promotion, finance, marketing, and international staff training. Aldo Todini, imprenditore italiano e consulente di management, risponde alle domande sulla corporate finance e sul perché la crisi finanziaria europea vuole dire che le aziende devono dimenticarsi delle banche per finanziare le proprie operazioni. Perché le aziende cercano finanziamenti esterni? Aldo Todini: Cercano finanziamento come mezzo per iniettare denaro nelle loro linee di prodotto. Questo può essere per ricercare nuovi opportunità di reddito o per colmare un deficit causato dalla recessione in tutto il continente. Quali opzioni di finanziamento sono disponibili? Aldo Todini: Il più comune è rivolgendosi alle banche ma le obbligazioni sono un modo in crescita per finanziare le proprie operazioni. Quali sono i vantaggi delle obbligazioni rispetto al chiedere un prestito al mercato bancario? Aldo Todini: Il vantaggio principale è che con le obbligazioni non c’è vincolo sull’utilizzo dei fondi e quindi le aziende possono utilizzarli per “scommettere” su nuove strade per generare reddito. In che modo i prestiti bancari sono restrittivi? Aldo Todini: Le banche operano sulla base di un determinato livello di rischio che sono disposte ad assumersi. In questa fase economica non possono consentire ad esempio a finanziamenti di nuove linee di prodotto – che sono un grande rischio ma anche il sistema principale per le aziende per trovare nuovo business. Che cosa è esattamente un Bond? Aldo Todini: Un bond/obbligazione è essenzialmente un “pezzo” di debito che una società ha nei confronti di terzi. Il debito viene venduto agli investitori dall’azienda che quindi può utilizzare i fondi derivanti da questa vendita per crescere, svilupparsi, creare nuove opportunità di business. Aldo Todini: Le obbligazioni sono in genere vendute in unità di $ 1.000 – questo valore può variare, tuttavia, da azienda ad azienda. Le obbligazioni sono detenute per un periodo di tempo impostato poi ripagato con gli interessi. Questi titoli presentano dei rischi? Aldo Todini: Ogni opportunità obbligazione offrirà alcuni vantaggi e alcuni rischi. Le obbligazioni sono classificate in base alla capacità prevista del venditore di restituire il denaro preso in prestito. Se una società che ha emesso obbligazioni cessa l’attività, come faranno gli investitori a recuperare il loro investimento? Aldo Todini: Se la società liquida il suo patrimonio, cosa comune tra le imprese in difficoltà, i fondi raccolti saranno distribuiti agli investitori. I detentori di obbligazioni hanno la priorità rispetto agli azionisti. Perché un’azienda ha bisogno di un consulente esterno prima dell’emissione di obbligazioni? Aldo Todini: Un consulente, nello specifico con familiarità con business process reengineering, può identificare e risolvere inefficienze nella produzione e quindi migliorare l’efficienza. Questa maggiore efficienza permette un maggiore appeal aziendale e quindi una maggiore appetibilità delle obbligazioni. In ultima analisi può incidere positivamente nella fase di collocazione del debito obbligazionario. Nato in Turchia da genitori italiani, Aldo Todini si trasferisce in Italia nei primi anni della sua vita e dopo il suo percorso scolastico e accademico è attivo nel mondo economico industriale e commerciale da oltre 20 anni. Diplomati nel 1997 all’Università di Roma, Aldo Todini ha il mix giusto tra competenze ed esperienza per guidare le aziende verso il successo. Aldo Todini ha lavorato con il Parlamento Italiano e con innumerevoli società nei settori della tecnologia e del BPR. E ‘un consulente indipendente con esperienza nella promozione industriale, finanza, marketing e la formazione del personale. According to Mario Romano, Wealth Engineering markets the “Investview” product of Global Investor Services Inc., a publicly traded company providing online financial education, analysis tools and live webinar-based training to individual subscribers. From Mario Romano’s perspective, what sets the Investview product apart is its live trading rooms. These live webinars are held five times per week and Mario Romano says that they demonstrate real trade strategies to students. Mario Romano explains that this is not training that uses examples from the past. Instead, Mario Romano says that students are able to apply the education and trade strategies to real trades and share performance from start to finish. “Most others tell you, while our platform demonstrates everything,” points out Mario Romano. Education – Mario Romano says that everyone must have the training and knowledge to approach investing in the market intelligently. Analysis Tools – The tools to assess and evaluate the markets, companies and key financial information are critical, says Mario Romano, and this type of information was once available only to professionals. Application– The ability to apply the education and the analysis to real trades, notes Mario Romano, is the element of the solution that puts the Investview platform in a class of its own. Mario Romano dedicates his professional life to these objectives and strives to establish Wealth Engineering as a leader in providing financial education to the masses worldwide. For more information, Mario Romano can be reached at 732-889-4308. Mario Romano began his Wall Street career at Lehman Brothers in 1982. From then until the beginning of the new millennium, Mario Romano held several executive positions with a select group of Wall Street institutions. Mario Romano also served as CEO of Romano Enterprises LLC from May 2000 through December 2004. 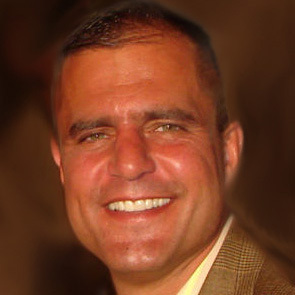 In 2005, Mario Romano co-founded Wealth Engineering & Development and through their combined efforts, Mario Romano contributed to securing the largest contractual agreements for the InvestView platform of Global Investor Services Inc. Mario Romano has fine-tuned motivational skills that have allowed him to establish, grow and manage a group of over 100 retail stockbrokers. With over twenty-five years of Wall Street experience, Mario Romano believes the time has come for individuals to learn how to manage and grow their wealth. Mario Romano dedicates his professional life to these objectives and strives to solidify Wealth Engineering as a leader in providing financial education to the masses worldwide. Carnegie Digital Computers has compiled the most important and crucial information for those considering buying a new electronic device. According to Carnegie Digital Computers, there are certain things consumers need to know in order to spend their money wisely. When buying electronics, Carnegie Digital Computers suggests that customers begin by reading Consumer Reports. These official reports detail consumer experiences with certain products, says Carnegie Digital Computers. Such information leads to more informed purchases, which is better for both the buyer and seller. Carnegie Digital Computers lets customers know that the most reliable data on any electronic is available through consumer ratings. Carnegie Digital Computers also urges buyers to consider purchasing a refurbished electronic device. Refurbs can offer huge discounts compared to the original price. The key is to make sure the product is factory-refurbished, says Carnegie Digital Computers. This is the only way to ensure that the product has a decent manufacturing history. Carnegie Digital Computers explains that these products should also come with a valid warranty in order to provide a good deal to buyers. Customers may also want to consider purchasing extras for the product. Carnegie Digital Computers says that some electronics stores may not offer add-on memory cards or data cables. Many times, buyers do not need such extra products to receive full functionality of the electronic, but it’s always a good idea to consider. According to Carnegie Digital Computers, buying products from brands with a history of products with superior performance is usually a good choice. Although many people are wary of big-name brands because of price, Carnegie Digital Computers says that most of these companies make great electronic products. In general, Carnegie Digital Computers says that the best rule of thumb to use when shopping for electronics is to take the time to find the product that is best for you. Ask questions and do research and Carnegie Digital Computers knows that you will enjoy your new electronics purchase. Stephen Pitz knows first hand about the benefits that arts can contribute to a school program. Being a former educator, Stephen Pitz believes that fine arts must be kept in schools for students. Why? Because according to Stephen Pitz, students who choose to take part in arts and theatre programs grow into more mature and well-balanced young adults. Stephen Pitz is so passionate about fine arts that he is currently pursuing a writing career. Students who take part in fine arts programs learn how to handle daily stress better, according to Stephen Pitz. Understanding how to handle stress and pressure is a crucial part of growing up. Stephen Pitz claims that arts and theatre programs teach students this important ability. Fine arts activities also tend to make students more responsible, continues Stephen Pitz. Acquiring the self-discipline to practice an instrument or memorizing lines for a part in the play helps students grow. Stephen Pitz asserts that the skills that come with fine arts are not specifically found in any other subject. Because of this, Stephen Pitz believes that taking art programs out of public schools would cause a serious blow to creative thinking. Stephen Pitz argues that becoming involved in arts or theatre programs in school is one of the best decisions a student can make. Participating students generally become more mature and trustworthy. Also, Stephen Pitz points out that fine arts offer good-natured fun. Stephen Pitz feels that young people who are able to have fun in an arts-based setting are better able to withstand peer pressure. Because students can gain confidence in themselves and their abilities, they are better able to resist the temptation to give in to negative social pressures, concludes Stephen Pitz.